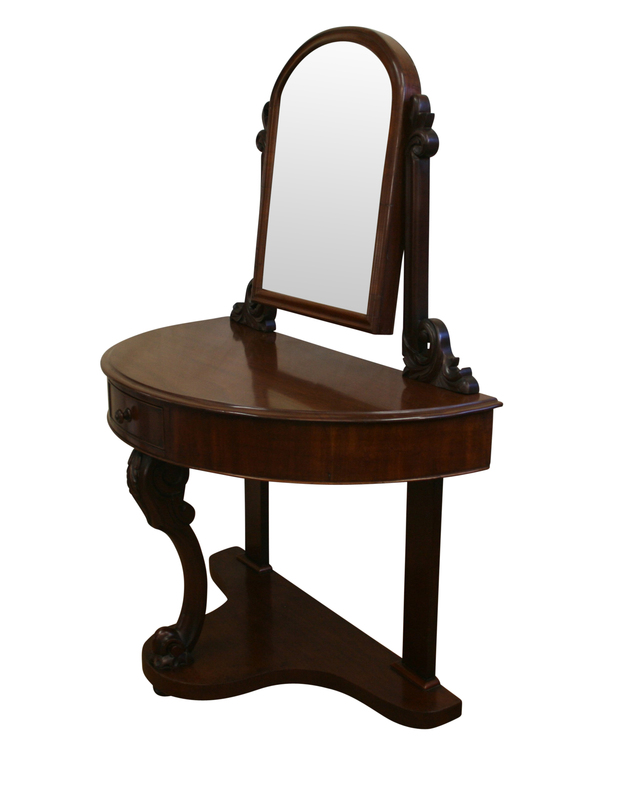 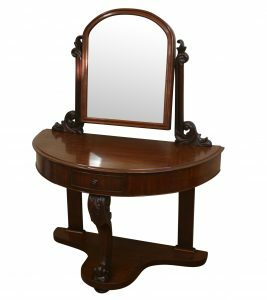 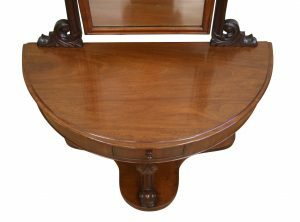 A Victorian mahogany duchess dressing table with an arched framed mirror supported by carved mahogany supports. 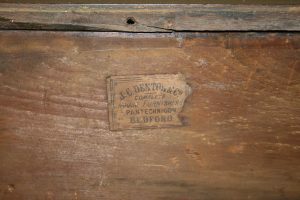 It has a demi-loom top with molded edge, below this is a single central drawer. 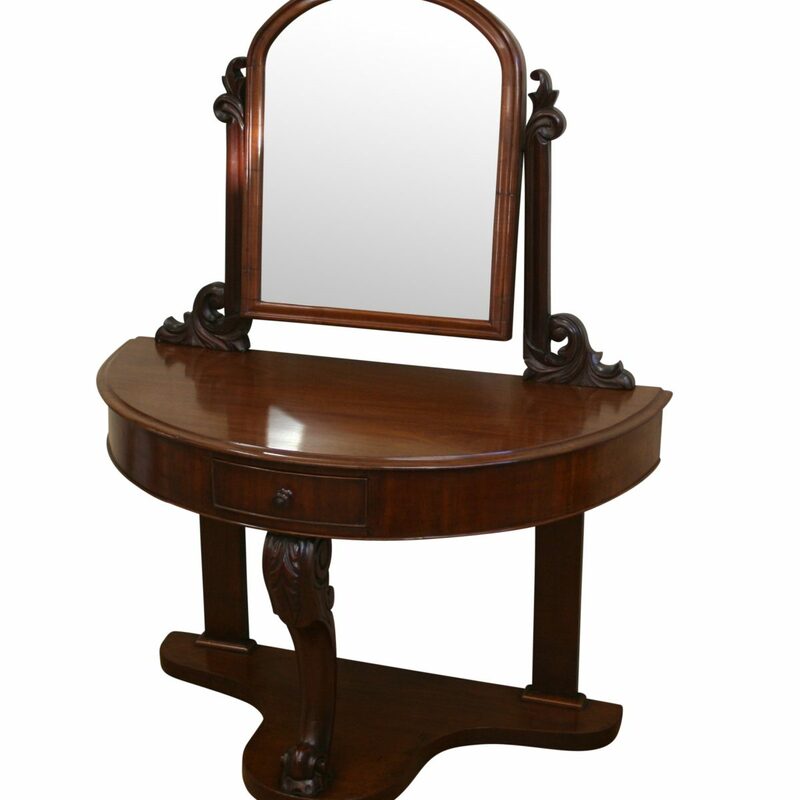 It is raised on a carved cabriole leg to the front with column legs to the back. 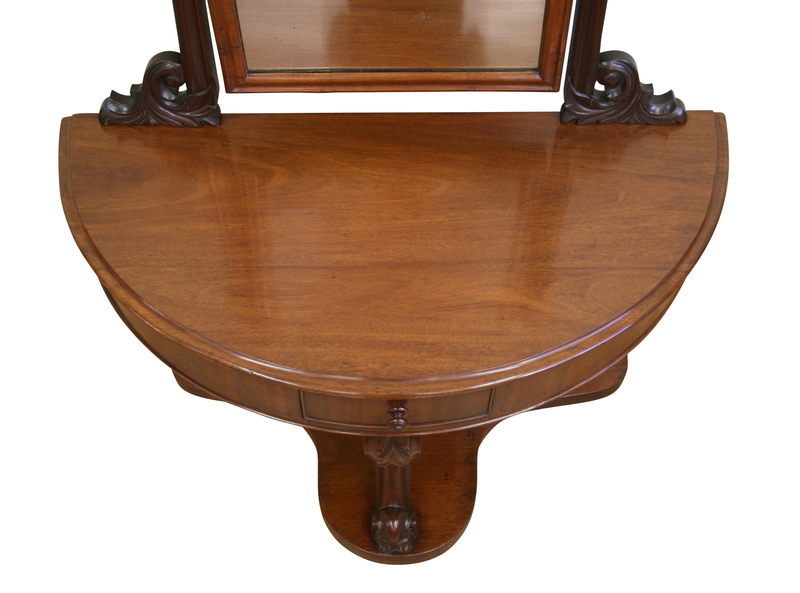 Underneath, the dressing table there is a shaped foot board. 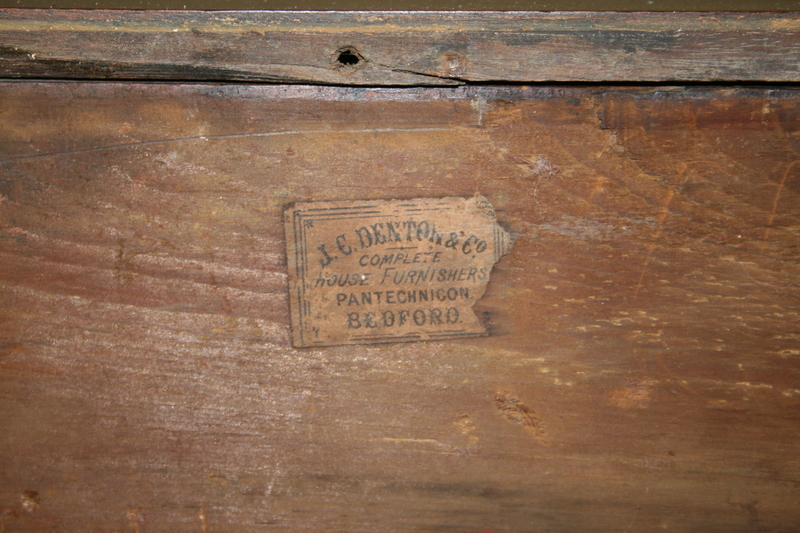 There is an original sellers label to the back ‘J E Denton & Co, Complete house furnisher, Pantechnicon Bedford’.